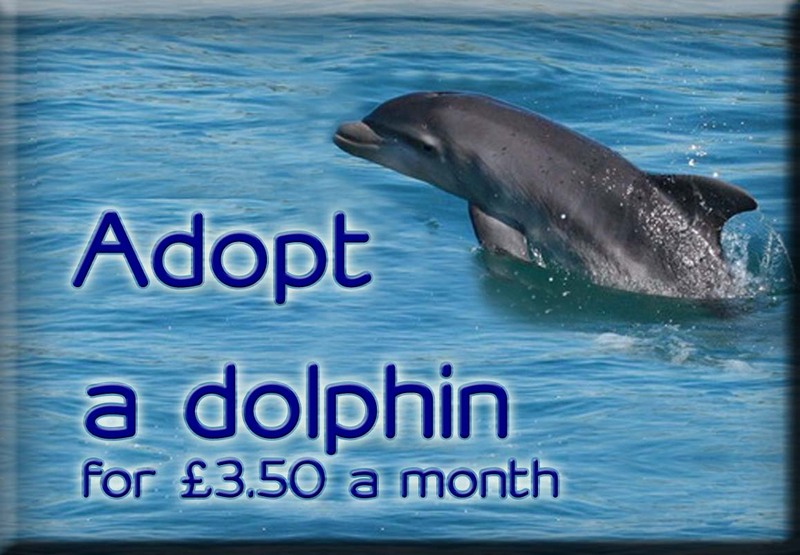 Sea Watch Foundation » Where to see Humpback Whales in the UK? Where to see Humpback Whales in the UK? If you’re desperate to see humpback whales, then your best chance at the moment is to head to Aberdeenshire where a humpback whale has been seen since 24th July 2016. This adult (above) was first photographed during our National Whale and Dolphin Watch by Eilidh Watson and was incredibly taken right from the shore in Newburgh, Fife! Since 28th August it has been confirmed that two animals have been using the area at the same time, with the last reported sighting being on 2nd October ! 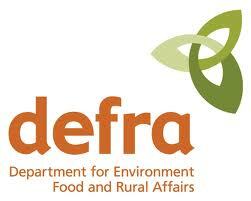 Please check our recent sightings page to see if any have been seen since. This infographic was produced by our Regional Coordinator, Kevin Hepworth and our Research Assistant, Sonia Doblado back in August. Humpbacks were seen in various spots around Scotland during the National Whale and Dolphin Watch back at the end of July, from the Moray Firth in the east and off Stoer Head lighthouse in the west. 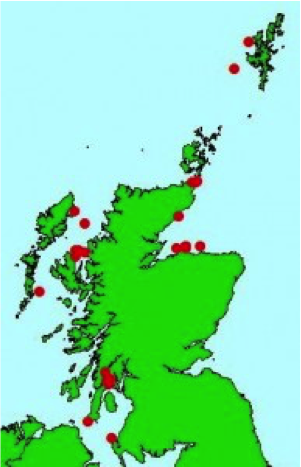 Humpback whales are often seen around the Hebrides and the Shetland Islands as well (as Figure 2 below shows). 2015 was a bumper year for humpacks including a sighting in Liverpool Bay as well as between the Isles of Scilly and Cornwall and off the coast of Norfolk. 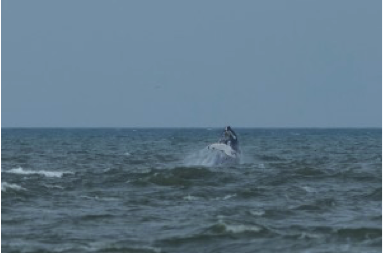 It came as a real surprise to us in the Sea Watch office when we recently received word of possible humpback whales off of Cardigan, in west Wales around two weeks ago. We were a little sceptical of this sighting as it would be very unusual. 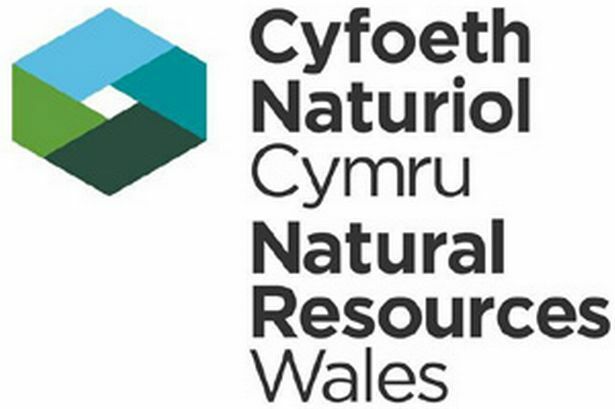 However, after later receiving word of another possible sighting of two humpback whales at nearby Aberporth, we began to get excited about the possibility of seeing these amazing animals so close to us (just 9 miles from our New Quay office as the whale swims)! 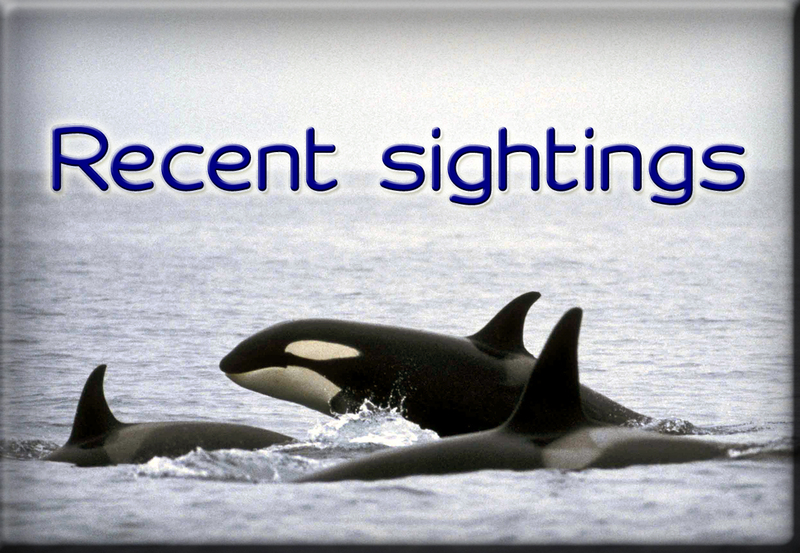 Without any photographic evidence, these sightings unfortunately remain unconfirmed. But we still hold out hope! 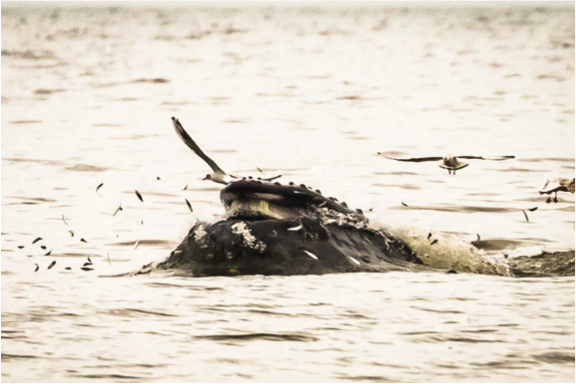 Humpback whales are part of the suborder Mysticeti, otherwise known as baleen whales. This name refers to the comb-like plates which hang from their upper jaw. These plates have stiff hairs that filter food out of the vast amounts of water taken into the mouth during feeding, acting as a kind of sieve. Humpback whales are easily identified from their distinctive tail flukes, knobbly head and long flippers, as well as its habit of raising its fluke high into the air when making a deep dive. The shape of the tail fluke (image below), as well as their markings, are unique to each whale, and so can be used for recognition of individuals. The body is large and stocky; an adult can measure up to 15 metres in length, and weighs up to 35 tonnes. Written by Emma Powell, Intern at Sea Watch Foundation 2016. No Sarah, sorry but there’s several photos on Aberdeen in Colour Facebook page. 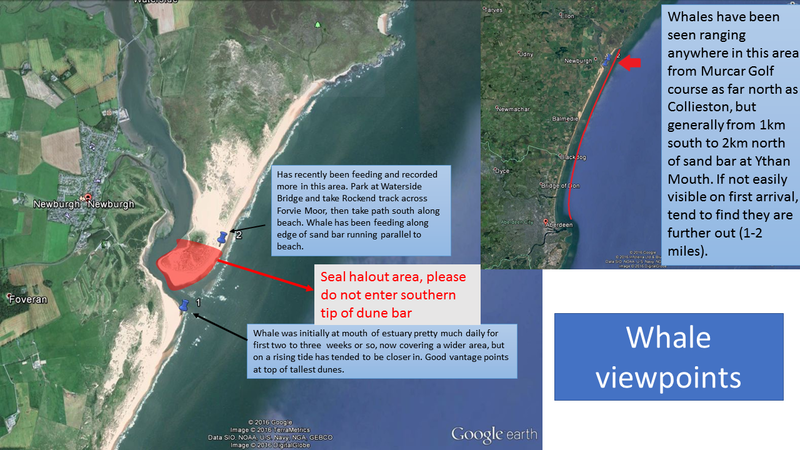 I see my request to provide additional advice to avoid disturbance of the seal haul-out on Forvie NNR is no longer pending moderation, not that it needs to be added. I do however think it needs to be incorporated within a revised version of the original info given to people trying to see the humpbacks. I’ve been in email contact with Peter Evans who is at a meeting in Paris so he is aware of my request for 2016 humpback sightings in Scotland so hopefully this can be provided asap. SNH is pushing me for my blog. Hi Ron, thank you for submitting us your sightings they are being sorted currently and will be up on the website soon. What I have done regarding your request for trend information on humpbacks is I’ve emailed your request to our Sightings Officer. She will be in contact with you as soon as possible. 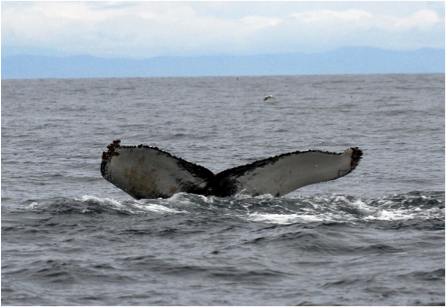 Thanks again for providing us with new sightings of Humpbacks. The Aberdeenshire humpback(s) were last seen by me on Thursday 6 October, off the mouth of the Ythan estuary. There was a breach much further out to sea when the humpback was at the estuary mouth but I cannot verify the breach sighting out to sea. BTW last week I emailed the Foundation to ask about UK/Scottish humpback sighting trend information but have not yet had a response. Hi Ron. Thats sounds great, please submit your sighting to us so we can create a larger picture of where this humpback whale has been spotted! Sorry you have not had a response from us yet, our sightings team are working on it and you should hear back from us soon.